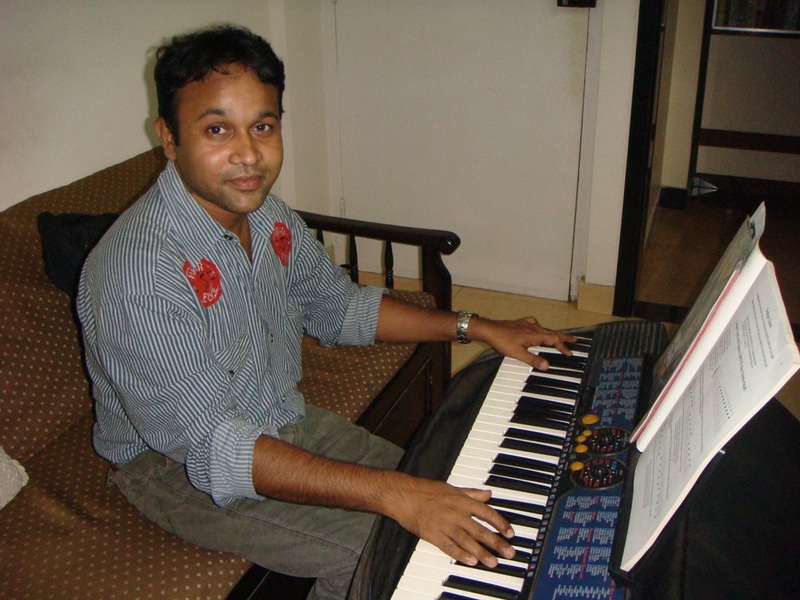 Mumbai resident, Dinesh Kumar is on a mission to impart music to children with autism. It all began five years back, when he saw an advertisement inviting applications for the post of a music instructor for Priyanj Special School for autistic children for which he had applied. “I did not know who special children were and thought a special school is for high profile kids and for those who have extraordinary talents and abilities,” says Kumar. When he entered the school, all the children there looked like anybody else and later on got to know the condition about the children“When I began teaching, I thought that the children were deaf as I was not sure if they were listening to me,” adds Kumar. As time passed, Kumar read about autism and devised a plan of action on how to teach them. “Initially I had to observe the behaviour of the children and see if they respond to music,” says the 30-year old Kumar. Kumar started by imparting music sense by making them clap their hands and bang the table tops to a rhythm. “If they clapped or band according to the beat or rhythm, I could gauge the musical abilities,” he adds. This resident of Kandivali, a suburb in Mumbai now knows all the minute details about the condition of autistic children. No more does he feel as though something is wrong with them. “If the children do not respond, I feel as though something is wrong with me and my teaching,” says Kumar. Since the students have a difficulty in deciphering the notes and chords, Kumar teaches them to play by the ear. Kumar makes it a point to teach the children popular Hindi songs. He just gives them the starting note and the pitch and they can play with ease. In order to teach the children the notes and the lyrics, Kumar has to teach them over and over again for them to retain and remember. “Sometimes it takes over a year for the children to learn one song,” Kumar mentions. Thirty-year old Kumar feels that music has made a difference in the lives of these children. Music has increased their concentration and even started keeping eye contact with others. Today, Kumar has come a long way. He currently teaches music to 60 children in Priyanj Special School and visits 20 children at their homes to teach them music. He plays the guitar, keyboard, bongo and the tambourine. However, he teaches the children just the keyboard as that is the easiest way the children can learn to play music. Kumar has many invitations to teach others but he refuses as he has decided to teach children with autism. “Anyone can teach music to normal children but teaching autistic children is challenging as you have to keep up to their pace and wait for them to respond to your teaching,” says Kumar. Kumar has also benefitted by teaching autistic children “Teaching these children requires lots of patience and tolerance and hence my patience and tolerance levels have increased,” he adds. Hello ! My name is Ayaz. I stay in Bandra. I have an Autistic child aged 12 years.Can you advise any good school nearby my place. Thanks. i truely aslute you Mr.Kumar… i would really like to meet you.